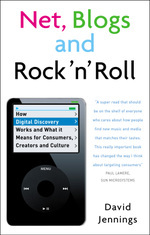 Paul Lamere has just posted a useful directory of web services for music discovery. Paul's focus is on sites that provide public APIs. These are the ones that, as Paul puts it, 'get it' and seek to ensure their services and data become embedded in the new web platform that Web 2.0 represents. It's a winning-by-sharing tactic.